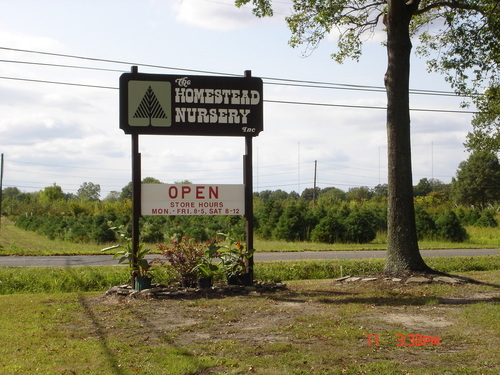 We offer field grown, balled & burlapped evergreen and deciduous trees and shrubs as well as container grown plants for the professional landscaper, garden center, or the consumer. Our goal is to provide a diverse assortment of finished plants to complete your landscape projects . This is a west bound view of our sign along North Pemberton Road @ Brandywine Road. Due to the fact that our stock changes almost constantly, we request that you e-mail us for pricing or call the office (609) 267-2524. Please take some time to look at photos throughout the website. Arborvitae is a good plant chioce for specimmen plant, foundation plant, hedge, or backdrop planting. Click here for photos of field grown stock. A sample of Little Princess Spirea in #3 can. 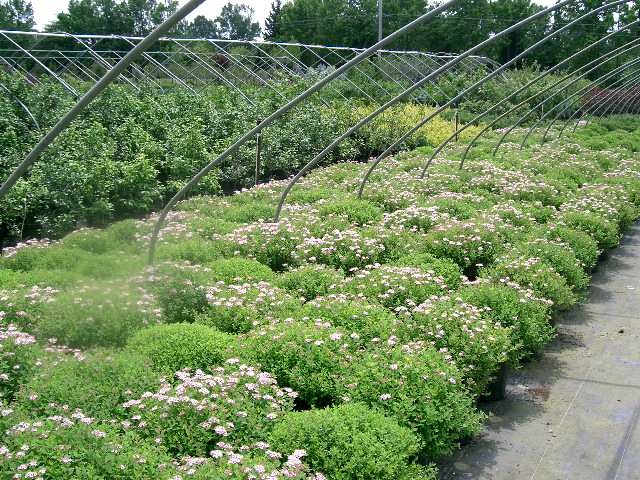 Little Princess Spirea is a durable flowering shrub utilized in foundation plantings and hedges, as well as a specimen plant. Click on the picture to enlarge.